Darity Welsey – "Love and Trust"
How to Be the REAL You wins third Literary Award! 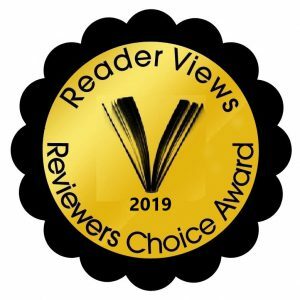 March 27, 2019 – How To Be the REAL You has received its third literary award! 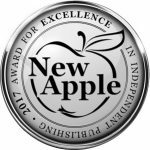 Darity’s latest book awarded Official Selection from New Apple Book Awards in the New Age/ Mind, Body & Spirit category. 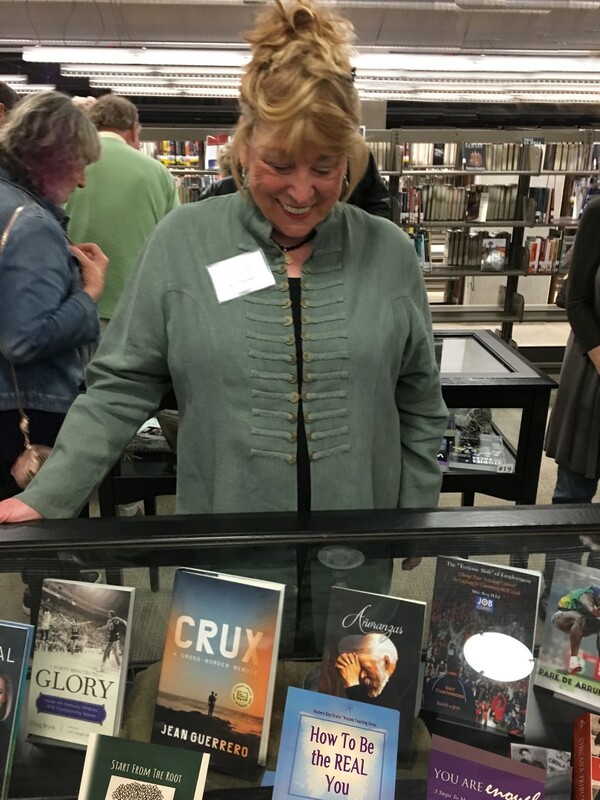 How to Be the REAL You wins two Literary Awards! 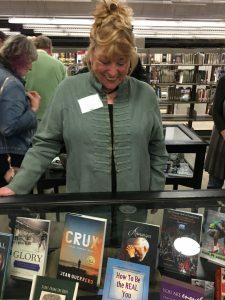 March 11, 2019 – How To Be the REAL You has received its first literary awards. 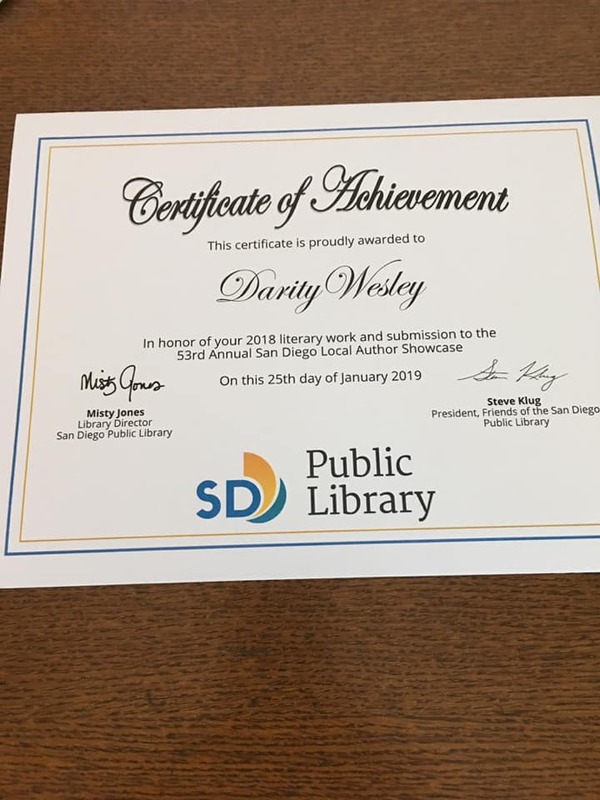 Darity’s latest book was selected to receive awards in two different categories from the Reader Views 2018-2019 Reviewers Choice Awards. 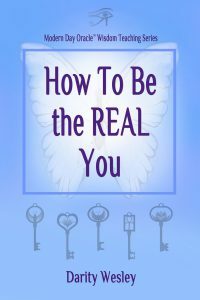 How To Be the REAL You received Second Place in the Body, Mind & Spirit category and also Honorable Mention in the Self-Help category. 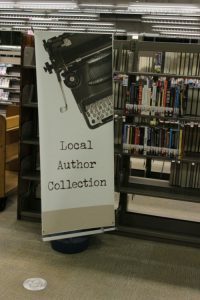 January 25, 2019 – The Local Author Program highlights the intellectual and creative accomplishments of writers in the San Diego region. 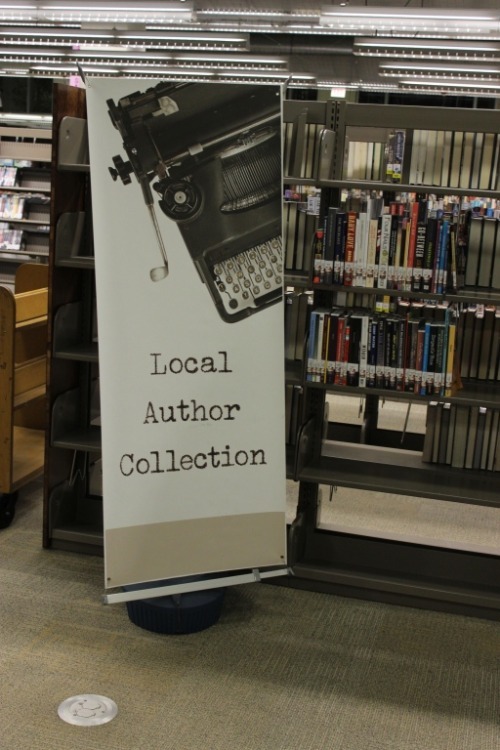 A centerpiece of the Local Author Program is the Local Author Showcase. 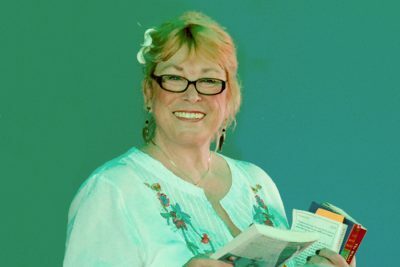 In its 53rd year, the aim of the Showcase is to bring exposure to local talent and nurture the pursuit of the writing arts in San Diego. 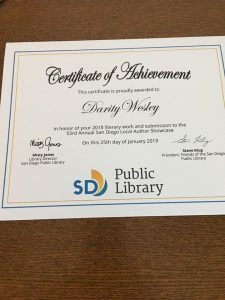 The Showcase will be on view on January 25 – February 28, 2019 in the Dickinson Popular Library at the San Diego Central Library. 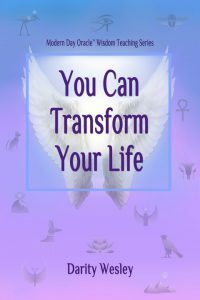 You Can Transform Your Life wins Literary Award! 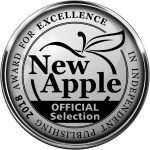 February 14, 2018 – You Can Transform Your Life has received a literary award! 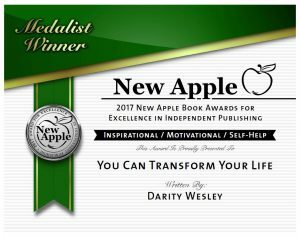 Darity’s book was chosen as the solo Medalist Winner in the Inspirational / Motivational / Self-Help category at the 2017 New Apple Book Awards. 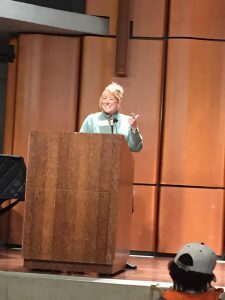 Follow Darity on Facebook, Twitter and Linked In!